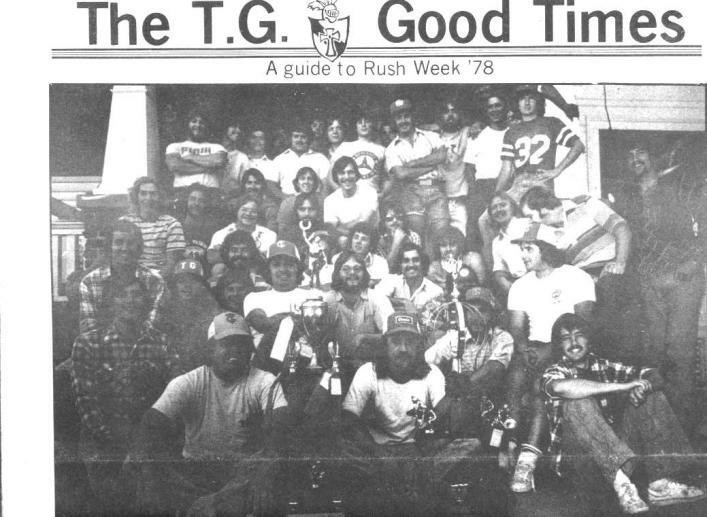 Tau Gamma Theta, the “T.G.’s” is a local fraternity that has a rich history of being progressive and possessing’ a winning attitude. We were foun­ded in 1968 when a group of forty-four men quit the Phi Taus in a dispute over individual freedom. We did not and do not believe that a fraternity should dictate acceptable behavioral standards outside the formal fraternity setting. We do recognize that it is any brother’s right to comment on behavior outside the formal setting but refuse to make a man fit into a mold of a ‘Pr.oper fraternity man”. This is in direct opposition to. the tenet of the governing body of the national fraternity system and thus found It impossible to function within that system. So we formed the TG’s in 1968. We are proud of our past. We always strive to do our best. This is exemplified by our participa­tion in Pioneer week. The TG’s were the first organization to ever win Pioneer Week Sweep­stakes three years in a row. We are the only group to ever do this twice and last year became the only group to ever win four years in a row. All of this was accomplished since 1968. In this newsletter is our rush schedule. We urge you to come over to the house and get to know us. We are a strong fraternity. We believe in the concept of fraternity. Possibly the best way of describing ourselves is to repeat an article from a similar paper In 1974. Do you realize while you’re reading this there are TG’s letting the Good Times roll in the best way they know how in the best city in the world for it to happen. Tau Gamma Theta Is not the Mystic Nights of the Sea or some secret Klan or a group pf hand picked college standouts. 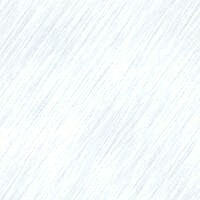 There just isn’t a universal mold of what a TG Is supposed to be. We don’t make the individual what he is, the individual makes us what we are. .Tau Gamma Theta is a collec­tion of personalities who are striving to let go of inhibitions, prejudiced, and unjust first im­pressions either by appearance or action. We know the more we succeed In doing so the better fraternity we become. Why do the fraternities, sororities and dorms spend a whole semester preparing for a one week celebration in remembrance of our Pioneer forefathers? Students who view Pioneer Days from outside the participating organizations Instinctively say Pioneer Days is just a week of partying. That last week in April Is all that and much, much more! The partying and good times stem from the pride the organizations developed after having done a superior job on their quad project, float or presents. Picture having practiced five days a week for 2½ months on a 7 minute Presents routine, and as the group finishes 5,000 people give you and your organization a standing ovation. The sight is overwhelming. This has only happened to a men’s group once in the last five years and the ovation was for the TG’s: Emotion is running high as the group comes off stage. There are mixed feelings of relief and enormous pride in being the test and knowing the group gave 100%. This feeling of pride is what intensifies the partying of Pioneer Week. What greater feeling than after working so closely with your frat brothers to achieve a common goal to be the best, number “1”. You did it. You better believe the partying begins, music blares, kegs are tapped and the good times roll for a job well done. Pioneer Week is a tradition at Chico State dating back to 1929 celebrating the days of ‘49. The college becomes an open house for parents, new students and community Involvement. The tradition Is based on the competition that takes place between the men's organizations and the women’s organizations. The five competing events are Presents, Quad Project, Group Costume, Sheriff’s Costume and the Float for the Parade. As one writer put it, Pioneer Week gives the opportunity for students to gain experience in organizing the creative programs and carrying out traditions. The group that. accomplishes this will end up with the sweepstakes trophy as the prize for superior effort during the week.